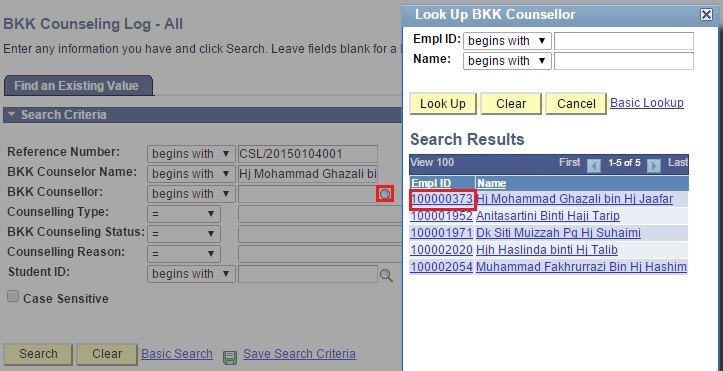 This function allows the users to search for all BKK counselling cases. 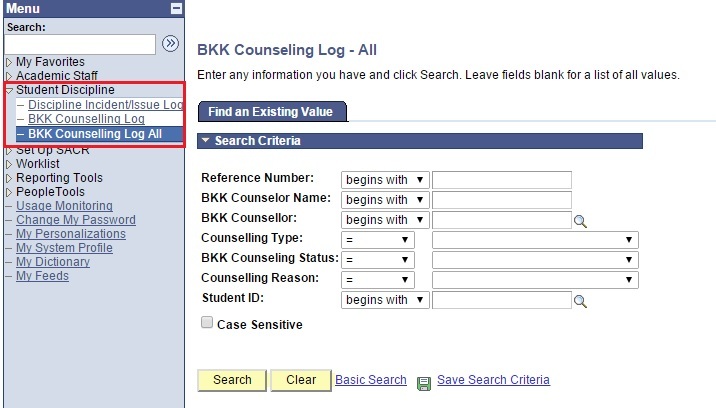 Click BKK Counsellor look-up prompt to search for list of BKK Counsellor ID. Select Counselling Type from drop-down menu. 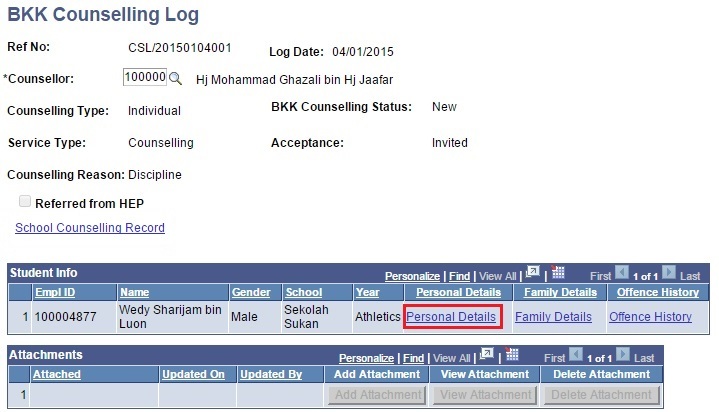 Select BKK Counselling Status from drop-down menu. Select Counselling Reason from drop-down menu. 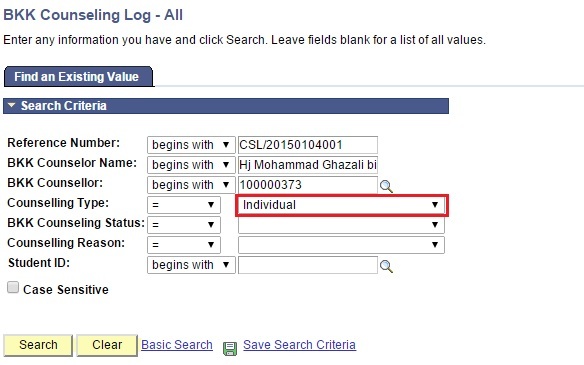 User will be re-directed to the specific counselling log based on search parameter. To view all the BKK counselling cases, Simple click on Search button without filling up the search parameter. User will see list all BKK counselling cases. 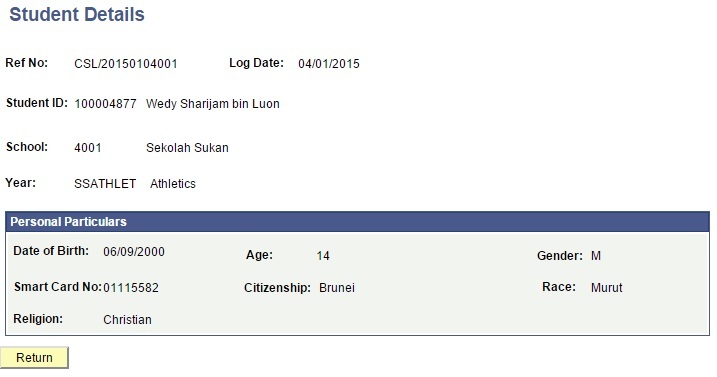 Note: BKK Head can search and view all BKK counselling cases. 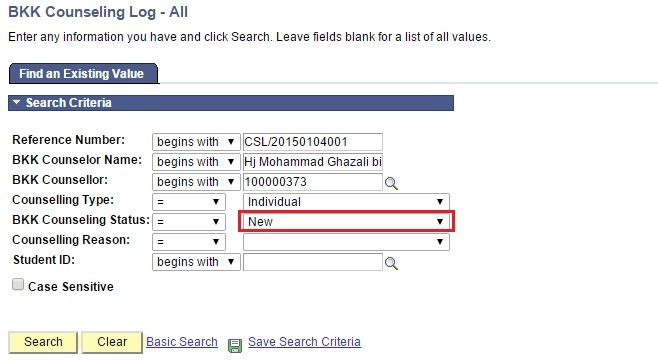 If user wish to search all the counselling log that they have created, Simple click on Search button without filling up the search parameter. User will view all counselling cases in the school. Click on School Counselling Record link to view the student school counselling record and details. 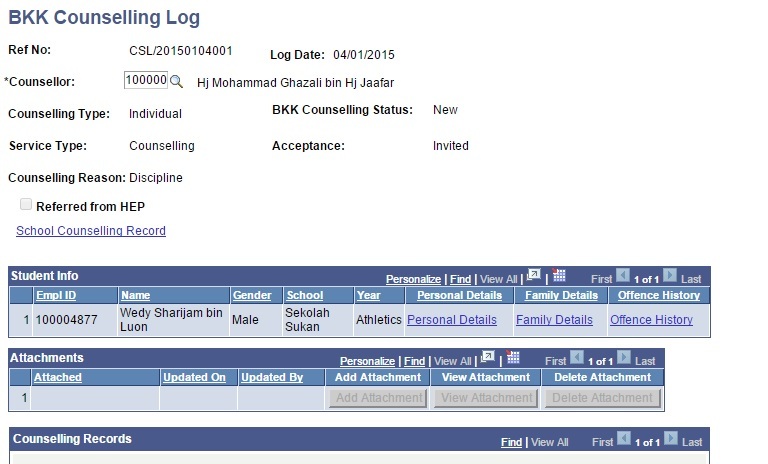 School Counselling Record link is available only if the case are escalated from school counsellor to BKK. 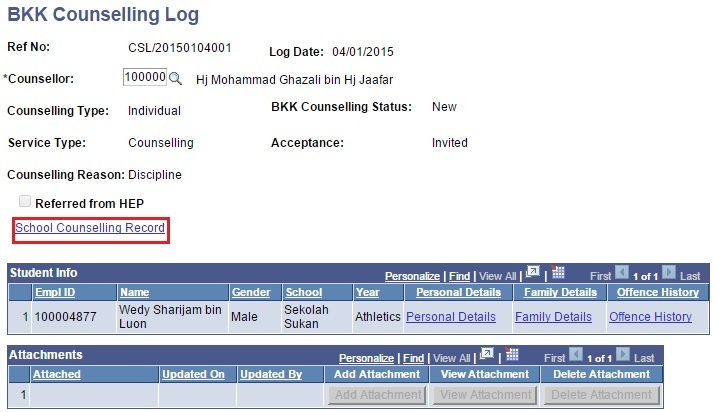 If it’s not visible, this counselling log is conducted by BKK itself. 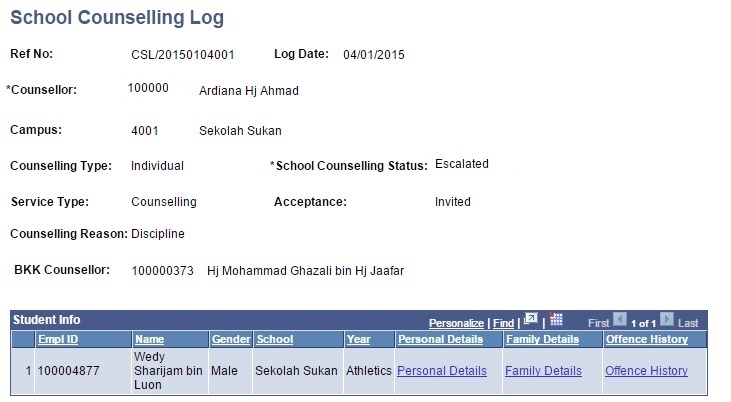 A new window will be pop out showing Counselling Log page of the school that escalated. 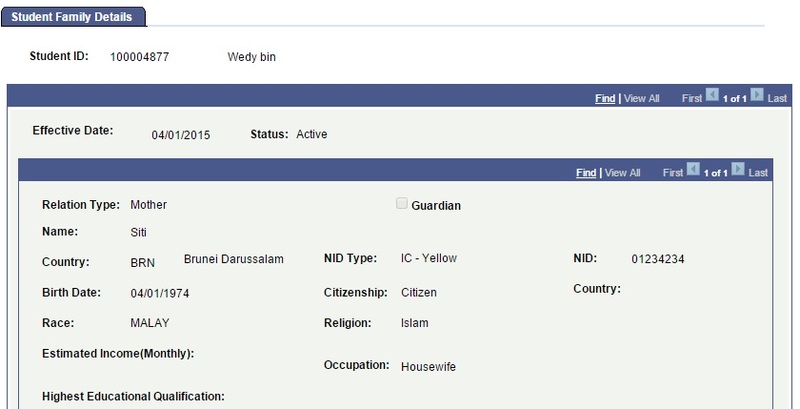 Click on Personal Details link to view the student personal details. User will be redirect to Student Details Page, showing information of the student. 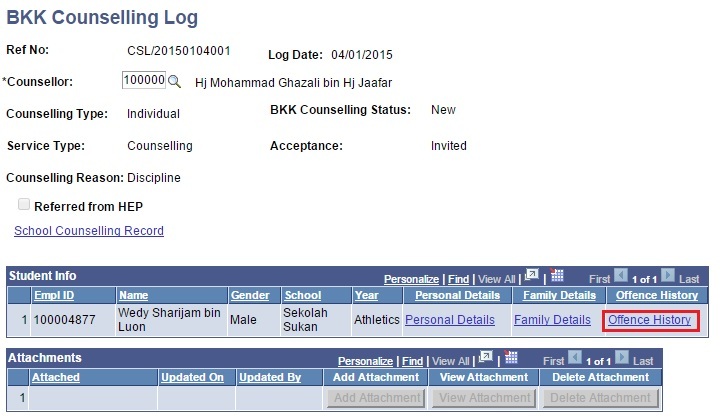 Click Return Button to return to School Counselling Log page. 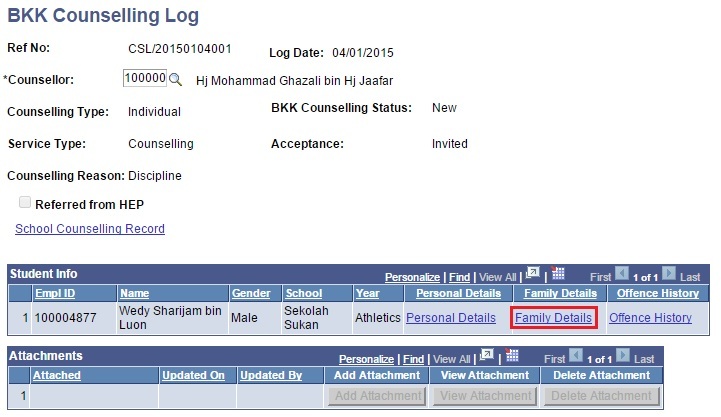 Click on Family Details link to view the student family details. A new window will be pop out showing Student Family Details. The Student family details page should be display only. Click on Offence History link to view the student Offence History. 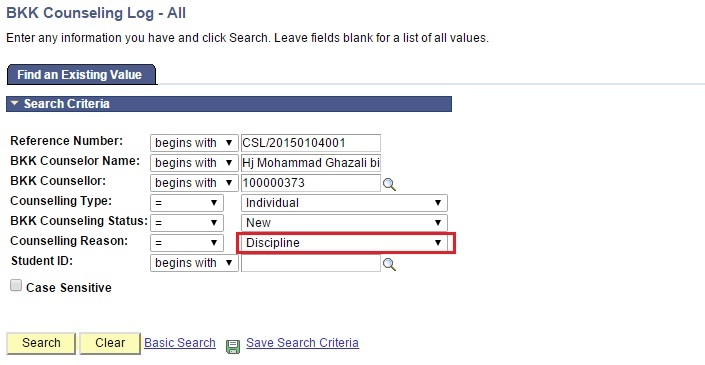 User will be re-direct to Student Offence History page, showing details of offence that the student committed.